There are a ton of great reasons to choose Cabo San Lucas as the site for your destination wedding. There’s the tropical weather, of course, which allows for a wealth of outdoor wedding options, including ceremonies and even receptions on some of the world’s most beautiful beaches. But beyond the wedding and reception, and possibly even the honeymoon–why go anywhere else, after all, when you’re already in paradise?–Cabo San Lucas also offers abundant opportunities for memorable moments with friends and family, including your closest confidants. What bride, for example, doesn’t want to spend some quality time with her bridal party before the big event, and thank them for being there for her on the biggest day of her life? Your bridesmaids may not need any reward beyond your friendship, but are they going to say no to a pampering bachelorette spa party with soothing health and beauty treatments and spectacular ocean views? Weddings are a time to celebrate your love, of course, but also your relationships with friends and family. How many times, after all, will you have all the special people in your life together at the same time? You’ll definitely want to carve out some time with your bridesmaids in Cabo, so why not make it a party? The spa party is a perfect choice, with a variety of pampering options, as well as numerous opportunities for add-ons or upgrades. You could, for instance, easily turn your bridesmaids party into an extended bachelorette party–from serene spa day to boisterous night out–or include mothers and flower girls for a sort of “ladies all-inclusive” get-together. Just remember to keep the spotlight on the spa aspect. Cocktails parties and nights out on the town come and go, but side-by-massages as you and your bridesmaids look out over the horizon-stretching, cerulean blue waters of the Sea of Cortés or Pacific Ocean is a once-in-a-lifetime destination experience, the kind of party topper no one who is there will ever forget. It’s not only the perfect way to relax and spend time with your bridesmaids before the wedding, it’s absolutely guaranteed to get you ready–physically, mentally and spiritually–for the day you’ve been looking forward to all of your life: your wedding day. 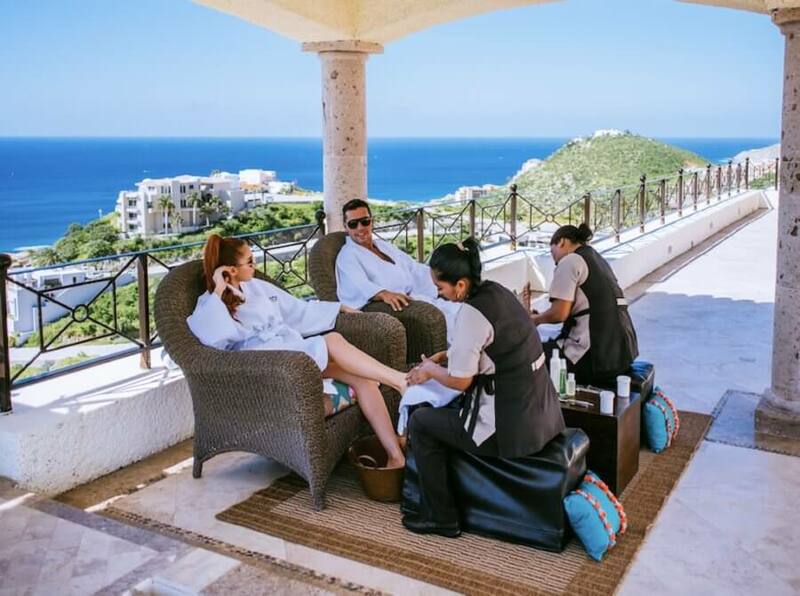 The best part of the spa party for your “bridesmaids in Cabo” is that it will come to you, wherever you are or wherever you want to be. Want to do the bachelorette thing with mani-pedis on the beach? No problem. 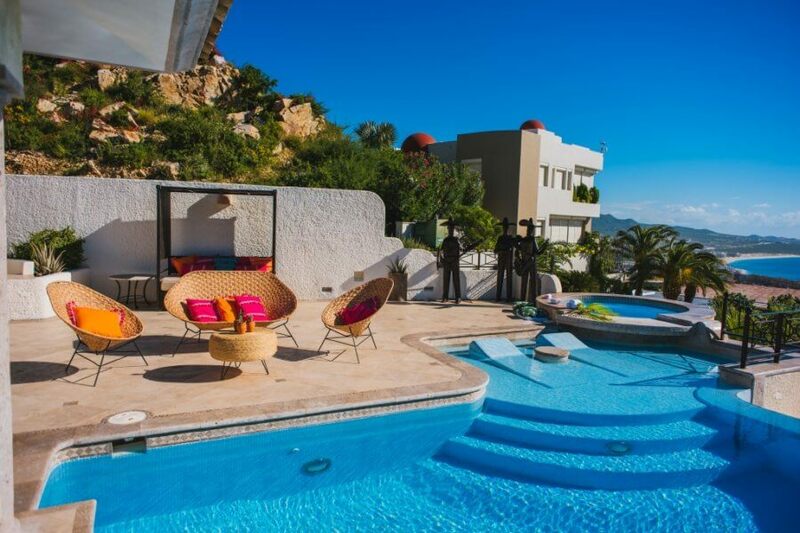 Massages on the pool deck of a luxury villa with spectacular ocean views? We’re on it. 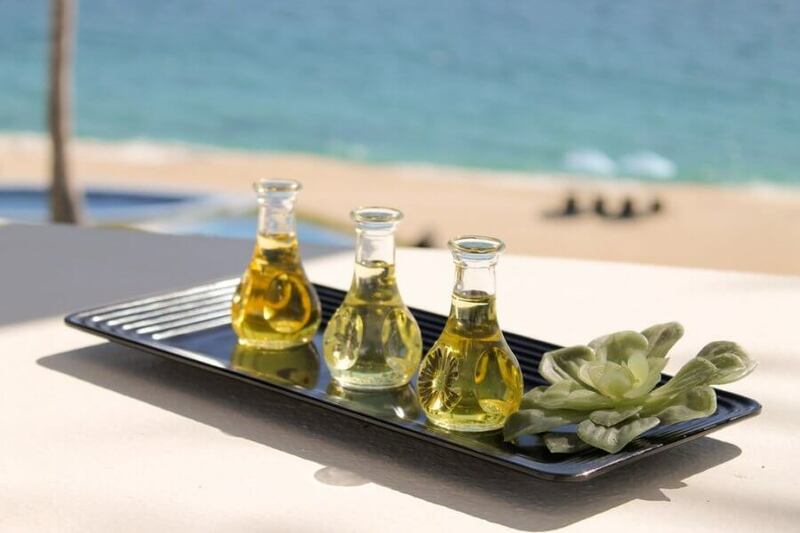 Traditional Mexican wellness rituals on the deck of a luxury yacht? We’re on the way! 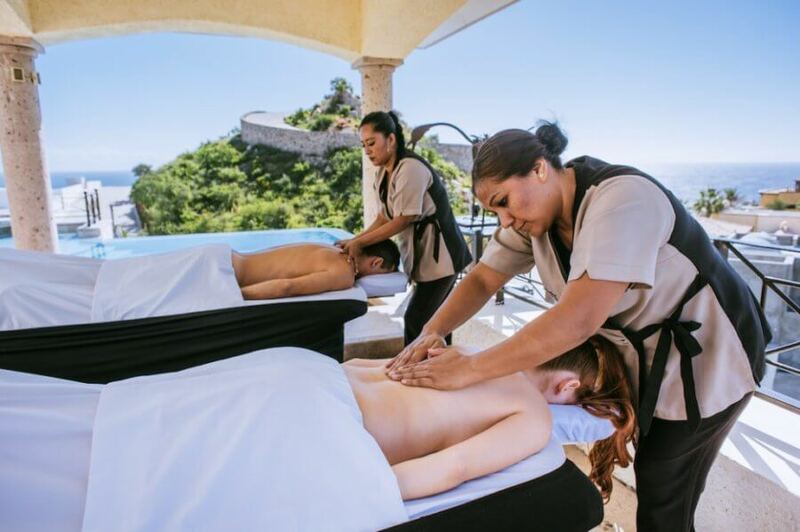 That’s the magic of the mobile spa, and the reason Suzanne Morel Face & Body Care remains the go-to source for spa and bridal care in Cabo San Lucas, even as we have taken the “go-to” out of the equation. Consider us instead as the premier “come-to” spa source. 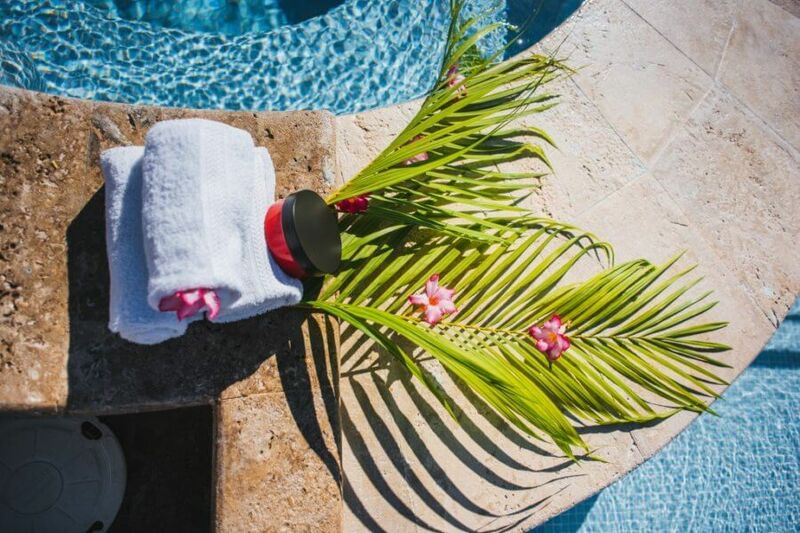 We come to wherever you prefer to enjoy your destination spa experience. Let’s be honest. Hosting a bachelorette spa party on your own “home turf,” even if it’s a rental condo or villa, allows you a much greater degree of comfort and control. There’s no need to arrange transportation, you can choose your own music, choose your own preferred setting–from pool deck to patio to lounge area–and also arrange for cocktails or catering or other party enhancements. Did we mention the added degree of privacy? This is a chill session for you and some of your closest friends, and thus not a time you want to share spa facilities with a bunch of strangers who just happen to be staying at the same resort. The mobile aspect is enticing, but a spa of any sort has to deliver memorable treatments, therapies and rituals to be considered truly special. At SMFBC, we take this idea very seriously, and are very proud of our creative and diverse array of pampering options. We don’t just offer a massage, for example, but a full menu of relaxing rub-downs that includes Swedish, deep tissue, hot stone, sports, bio-energy and lavender oil massages; Santé massages for better circulation; and the most pampering of them all, our famed “four hands” massage, which includes body work from two therapists at the same time. Even more intensive are body treatments, full body exfoliations that remove impurities, stimulate circulation, and leave your skin glowing and radiant. Our special Mayan Healing package, for instance, features fresh herb and mango-papaya exfoliation treatments, stretching and yoga movements, a full 60-minute massage, and a specially brewed cup of antioxidant rich tea. We also offer soothing or beauty-focused ministrations like facials, manicures and pedicures, as well as themed spa packages and seasonal specials. This month, for example, SMFBC is offering “give your skin a break” specials, which include a relaxing 75-minute firming facial plus complementary 30-minute massage, or an even more exhaustive yet revivifying 95-minute “age defense” hydrating facial with the same complementary half-hour massage. Visit suzannemorel.com/spa-specials/ for more details, or give us a call from the U.S. or Canada at (619) 819-9180. There are several good reasons why a bachelorette spa party by the pool is a popular idea for Cabo bridesmaids. The spa party works well in conjunction with other activities, like swimming or canapés or cocktails. The spa interlude can also be a prelude to other shared events, from swimming with dolphins to dinner at a five-star restaurant or live music at a late-night club. Use your imagination and your knowledge of your bridesmaids’ personalities to custom tailor a unique shared experience, and don’t be shy about making it as fun and inventive as possible. You will almost certainly remain close with these women throughout your life, after all, but remember: they will only be your bridesmaids in Cabo once! This entry was posted in Blog, Spa Services and tagged Bridal Party, bridesmaids, Bridesmaids in Cabo, Cool Spa Party.